The Leguminosae are one of the most important plant families with two outstanding features—N-fixation by root nodules and high protein content. 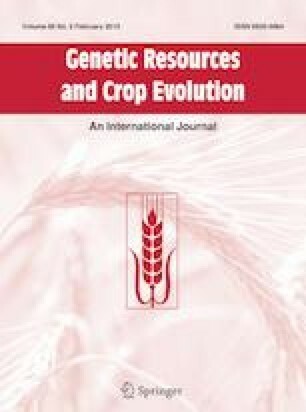 Handbooks on legume crops are published from time to time covering different areas of biology sensu amplissimo—agrobiology, genetics, breeding, botany or biochemistry. No one was so brave and/or laborious hitherto to elaborate the lexicon of pulse/legume crops. Alexandar Mikić, geneticist and breeder from the Institute of Field and Vegetable Crops in Novi Sad, Serbia did it. He devoted some years to elaborate the product without IF! But it was worth. It must be a passion and a hobby. In present days of a narrow specialization a holistic, at least interdisciplinary look in research is very rare. Also very rare among agrobiologists are humanists. The lexicon covers chapters on centers of origin and importance of legume crops in the world (acreage and production), on languages and dialects on individual continents and than chapters related to fourteen botanical genera, presenting scientific and popular names of taxa and their linguistic-historical origin. The lexicon discusses legumes origin, domestication and usage including archeobotanic data, e.g. Vicia ervilia most probably was the Bible lentil. Outstanding is a connection of agronomic and botanic data with lexicology and etymology. The content, i.e. 9500 common names in more than 900 languages and dialects denoting more than 1100 taxa belonging to 14 selected genera is simply a mine of information. It must cause an interest of agrobiologic as well as linguistic communities. Working on legume genetics and breeding I did not realize that it is possible to gather and fuse so much information on plant related disciplines. Congratulations to the Author and the Editor. Thank you on behalf of the legume community.